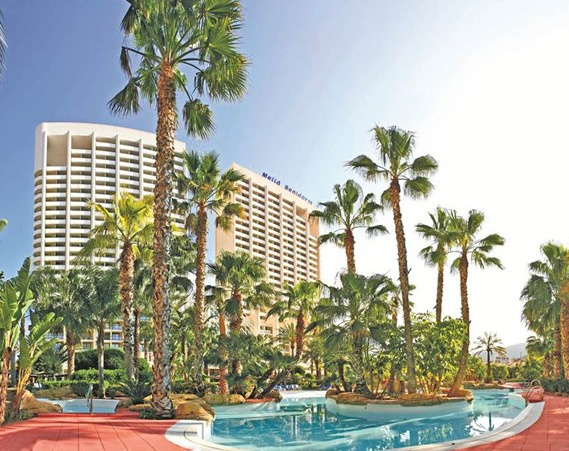 The spectacular 4 star (plus) Melia Benidorm is located in the Rincon de Loix area of Benidorm and just 600 metres from the lovely Levante beach. 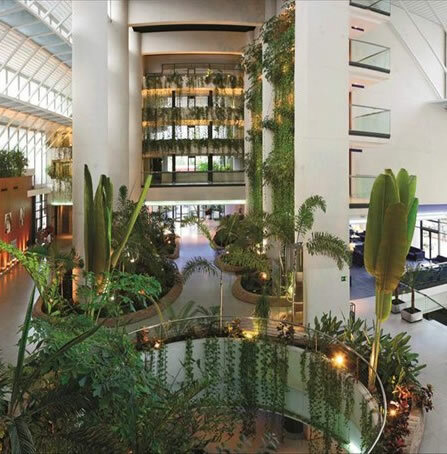 Meliá Benidorm is the perfect choice for both business and leisure travellers, thanks to its excellent location in the centre of Benidorm, its extensive and comfortable holiday facilities, great rooms and its excellent services. Taxi transfers take around 45 minutes to make the 35 mile journey from Alicante airport. 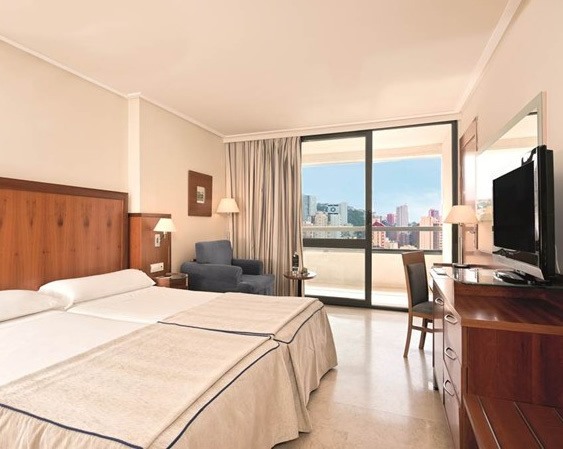 Meliá Benidorm provides 526 rooms decorated with elegant designs in Mediterranean colours, there are 445 standard doubles, 39 superior doubles, 30 deluxe, 6 junior suites and 4 disabled rooms on the ground floor. All rooms overlook the hotel's tropical gardens and lagoon style pool. Each are equipped with two single beds , they also have a 32'' LCD TV, air conditioning / heating, functional work-space with Wi-Fi Internet and socket for laptop, sofa bed, safe, mini-bar, bathroom and terrace. 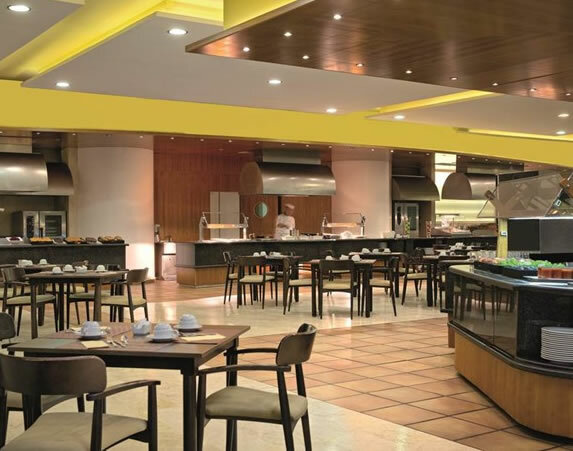 The hotel has spacious dining areas: El Curt Restaurant is the place for buffet meals with show cooking and a great choice of salads, vegetables, fish and meat dishes, extensive selection of cheeses and cold meats, fruit and delicious pastries there is also an Italian corner with pastas and pizzas. The Moralet terrace bar is just the place for tapas or a light snack, along with a wide variety of drinks, cocktail and mixed drinks. The Palapa Bar is the pool bar that opens during the summer months for a refreshing drink or ice cream. For an evening cocktail or two you can enjot the Bar L‘illa or Pub Algar. The hotel offers guests a wide range of activities designed for all ages and tastes (programme depends on the season and subject to change). 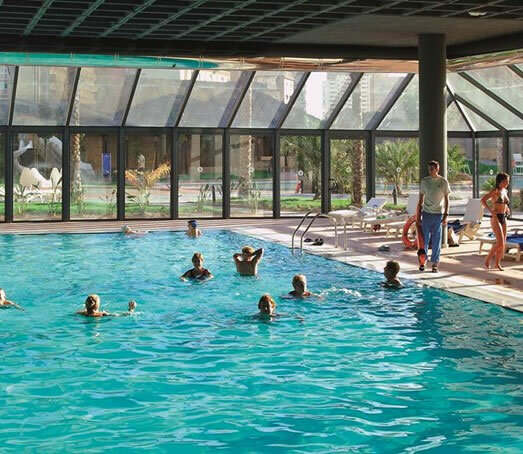 For adults there is Sports activities such as stretching and keep fit, water polo, water volley, aqua gym and Zumba classes, steps and table tennis. Evening entertainment includes: shows and live music plus piano music and modern Jazz. Kids are well looked after too with a Mini-Club for children from 5 to 11 years of age, they can enjoy football, hockey, bowling and games in the pool (water polo, swimming races) and in the garden, and much more including a mini disco. This hotel has an amazing range of facilities to help keep the most discerning of guests happy: 24 hour room service, 24 hour reception, WI-FI throughout the hotel (*), E-point (*), Medical services within minutes of the hotel (on request)(*), ironing and laundry service(*), Wellness massage and beauty treatments (*), Manicure and pedicure (*), secretarial services / international translation (on request) (*), Excursion booking service, 4B cash point machine, Boutique, luggage weighing machine, Payphone, Car rental service (*), Electric scooter rental service (*), Currency exchange service, Hotel fully adapted for the disabled, Covered car park for exclusive use of guests (*), Outdoor car park with limited spaces exclusively for guests. - (*) With charge.